Wow! People are really talking about the DIRECTV HS17 Genie 2, aka the DIRECTV Genie 2. “Next generation” and “breakthrough” are just some of the words people have used to describe this DVR. Whenever anyone raves about something, it causes other people to wonder if that thing lives up to the hype. In the case of the DIRECTV Genie 2, the answer is an unequivocal yes! This makes it a perfect upgrade from the HR54 you’re probably using now. Let Signal Connect tell you more about the DIRECTV Genie 2. What is DIRECTV Genie 2? If you’re reading this, you’re probably wondering how fast the DIRECTV Genie 2 is. It’s only natural, since we all want high speed everything these days. (And rightfully so!) When you place your client next to the HS17 Genie 2, that client will perform incredibly fast. This is especially the case with the C61K 4K Genie client. The boost in speed it gets from the Genie 2 should make it very easy for many DIRECTV customers to upgrade to the vastly superior 4K service. The Genie 2 provides two 4K streams while the HR54 only allows for one. It allows wireless clients without having an external wireless adapter. Truth be told, I could talk features and benefits all day long. You’re probably more interested in reliability, though. After all, if you invest in a Genie 2 upgrade, you’ll want to know that you can count it. I can say with certainty that this is the case with the DIRECTV HS17 Genie 2. Truthfully, I’m new to the whole satellite TV thing, but a friend of mine has been in the DIRECTV game since it first kicked off. His name is Stuart Sweet and you might recognize his name from some of the blog posts he’s written over here. Stuart doesn’t like to brag, but I have no problem singing his praises. Over the years, this guy has probably owned and operated every DIRECTV server, DVR, and client box the company has rolled out. I asked him if his Genie 2 is reliable and he said, “When it comes to reliability, every DIRECTV DVR I’ve used has been rock solid. This includes the HS17 Genie 2, which is sitting right next to me, performing flawlessly.” Folks, if that doesn’t speak to the reliability of DIRECTV’s newest Genie, nothing will. As an AT&T Preferred Dealer, Signal Connect keeps you up to speed on the latest DIRECTV equipment. 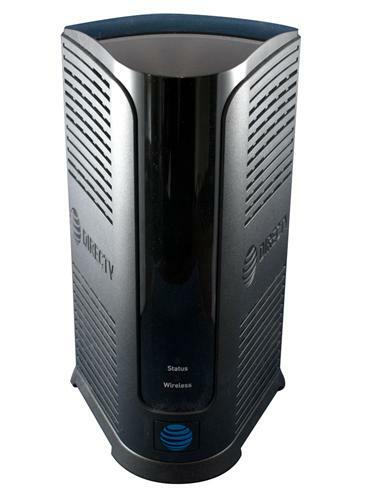 The DIRECTV HS17 Genie 2 is great for first-time DIRECTV customers. It’s also ideal for current users looking to upgrade. 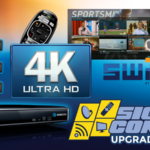 Signal Connect wants to help you make the most of your DIRECTV installation with this new DVR system. To make it happen, we’re offering a special promotion through Solid Signal, an online electronics retailer and division of our company. To upgrade to the Genie 2, you’ll need a reverse-band LNB and the DIRECTV 4K Genie Mini Client. Since we realize that this is an investment, we’re happy to cut you a break. You’ll save $20 when you buy this combo from Solid Signal. (You won’t get that deal if you were to get each component separately.) You also get our white glove service and DIRECTV technical support absolutely free! This is a great deal for anyone who wants the latest DIRECTV has to offer. If you’re ready to enjoy 4K programming with the latest server and mini client, just fill out the form below. A Signal Connect representative will follow up with you as soon as possible. DIRECTV-Ready TV or Genie Client? This entry was posted in AT&T/DIRECTV and tagged directv, Equipment, high definition, upgrade. Bookmark the permalink.